Why Should I Choose the Glidestop? 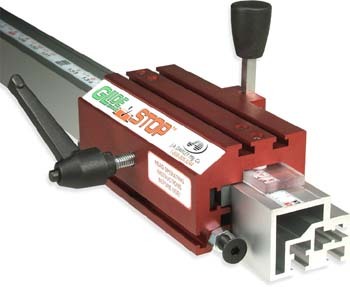 The Glidestop bridges the gap between automated and manual stop systems with its patented indexing system. Our stop system will increase the speed, accuracy and efficiency of your shop. 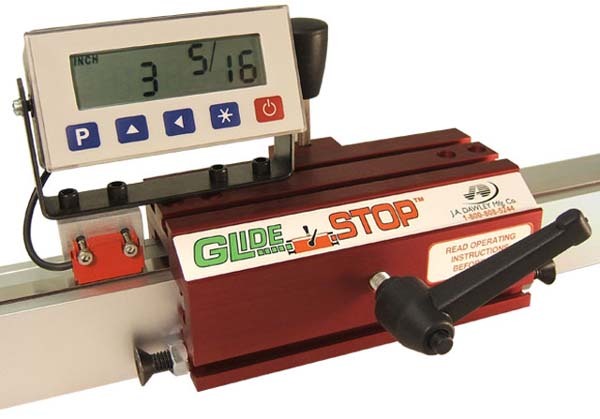 The Glidestop has a great line of accessories to suit your shop's specific needs. 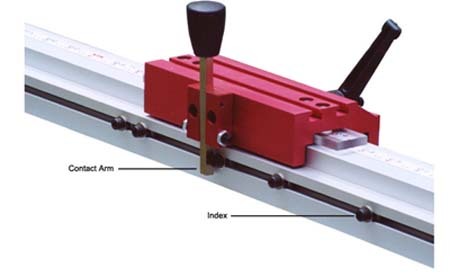 The Glidestop bridges the gap between automated and manual stop systems with its patented indexing system. What is the Indexing System? The Patented Indexing System allows the Glidestop to return to any number of preset positions thanks to the indexes. The indexes can be placed quickly and easily anywhere along the fence. The indexes are also extremely accurate. Unlike other systems our fence is not hindered by multiple stops. The Glidestop can be tightened anywhere along the fence regardless of index placement. The Glidestop has a number of available accessories to enhance the efficiency of our stop system. Our GS2 fences were designed for easy mounting so they can add to nearly any machine. The Interchangeable package works on the same principles as the regular Glidestop system. The benefit of having the Interchangeable package is the removable index bar. This system allows you to have multiple index setups and "interchange" them when your job changes. As with the regular Glidestop system, the Glidestop can still be placed anywhere along the fence regardless of index placement.